Need an evening without the kids? K2 Academy’s P.N.O. 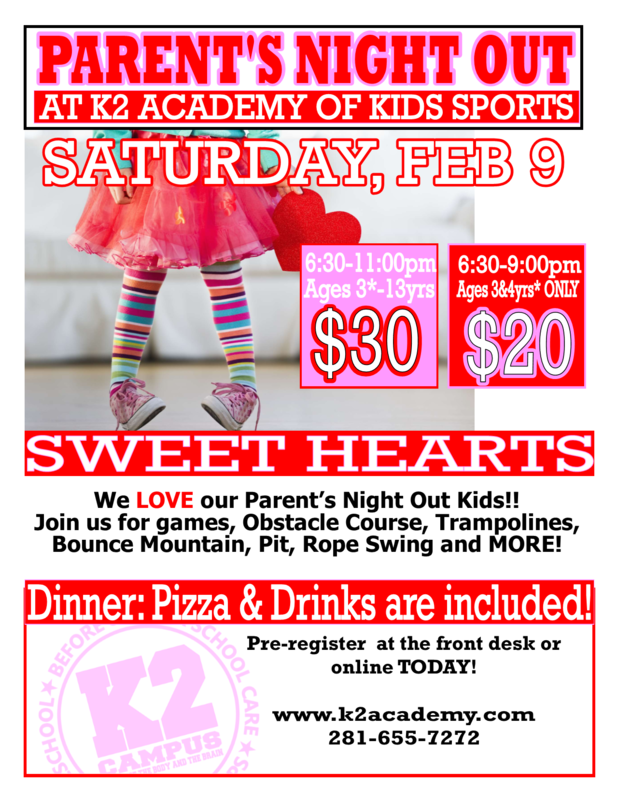 gives parents the opportunity to take a well-time of their lives with their favorite K2 Academy coaches. bounce mountain, foam pit and games are just a few example activities. They won’t want the night to end! And don’t worry about food – we’ll take care of that too! !